First, happy Thanksgiving to all! I know it’s a North American holiday but I still celebrate it every year despite living in the UK for nearly 30 years. British friends who have celebrated it with me, quickly see why I do. That’s why I wish everybody a Happy Thanksgiving. My children love it so I have had three Thanksgiving dinners over the past week and a half and partly why I haven’t posted in over a week. Now onto the self titled album from Todd Rundgren’s Utopia. I have only recently listened to this album. Back in early 1983, I read a negative review of it where it said that the other members of Utopia pull Todd down. I’ve never agreed with that and after listening to “Utopia,” I still don’t agree with it. Now, for the bad news, even though it doesn’t support the idea of Todd’s talents being wasted by joining up with the other members of the band, the album is still a few noticeable levels below their 1980 epic, “Adventures in Utopia.” The good news, though, is that it is better than their previous “Swing to the Right” album. Another point of history is that long time bassist, Kasmir Soulton, left during the composing of the album to pursue a solo career. I may visit this album. 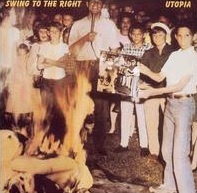 “Utopia” opens with the best track on the album, “Libertine.” With the possible exception of “Hammer in My Heart,” it is probably the hardest rock song on it. When I first heard the opener, I thought that maybe the band was back to the glory days of “Adventures in Utopia.” Unfortunately, the album does tend to go more keyboard oriented and while this doesn’t destroy the album, it doesn’t make it great. I was not impressed by “Bad Little Actress” but “Feet Don’t Fail Me Now” was rather amusing. Unfortunately, the next few songs sound pretty much the same. At least until you get to the more harder, “Hammer in My Heart.” That song takes things back up a little and “Burn Three Times” was even more amusing than “Feet.” On the first few notes of the closer, “There Goes My Inspiration,” I thought the album was going to go out on a total high. However, it soon drags a little making it and adequate closer and that’s is basically my verdict on “Utopia-” adequate. Like I said, “Utopia” is an adequate album from Utopia. There are some good points on it that outweigh the blandness. As for the question of Todd Rundgren wasting his talents with the band, I can add further light to this when I visit Todd’s 1983 solo album later on down the line. Back in 1982 or there about, I remember reading a review on a Utopia album, not sure if it was this one or their next one, where the reviewer stated that Todd Rundgren was being pulled down by the rest of the band. I never agreed with that statement because I have always thought that Powell, Sulton and Wilcox were all talented musicians and song writers in their own right. For me, this was purely the case with their 1980 album “Adventures in Utopia,” although that is their best album. Let me say straightaway that “Swing to the Right” is not quite as good as the 1980 classic but it’s not that bad. They do venture away from the more hard/progressive rock sound of the classic and adopt a more new wave approach. For the most part it works and even before U2 made it popular in 1983, the album is full of political lyrics aimed at corporations, religion and war mongers. My impression was that it’s a dig at the Regan administration which embraced all of the things that Utopia were having a go at. It is also the reason why Bearsville Records were reluctant to release the album at first. The opening title track is the most progressive rock like song on the album and it boasts an excellent guitar solo from Rundgren. “Lysistrata” is also a good track and the swing to the more new wave sound definitely begins here. “Junk Rock” goes even more new wave and is a dig at synth pop which was rapidly gaining a foothold in the early 80s. “Shinola” does go back to a more progressive sound and Rundgren’s vocals remind me of some of his 1970s solo albums. The next few tracks are all what I have already spoken about, lyrics about political issues played to a new wave sound. For the most part, I like it and the standout track from these is “Last Dollar On Earth.” The closer, “One World” goes a little ways back to the more known Utopia sound and that ends the album rather nicely. Todd Rundgren deserves to be in the Rock Hall of Fame both as an artist and a producer. It’s an act a sacrilege that he isn’t. The argument that his playing with Utopia demeans his talents is totally rejected by me and many others. It could be said that he should be there a third time with Utopia because they have made some good albums over the years. “Swing to the Right” is one of them. Staying on the subject of rock/metal acts who were considered great in their own country but never made headway into others, Todd Rundgren’s band Utopia comes to mind. I can’t think of anyone I know in Great Britain who has heard of them, however, when I have played this album to some of my British friends, they liked it. It is funny how at times music, no matter how good it is, never makes it across the Atlantic. I read a review of a Utopia album sometime in the future. 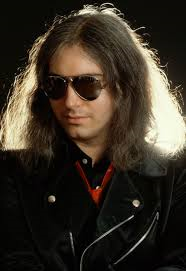 The critic stated that the rest of the band aren’t up to the talents of Todd Rundgren and as a result pull him down. My only speculation here is that the critic never heard this album. 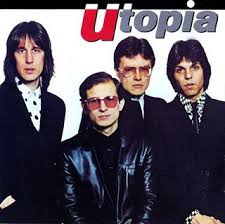 True, Todd Rundgren is nothing short of a musical genius and it is frustratingly shameful that he hasn’t been inducted into the Rock Hall of Fame, but the other members of Utopia are all good song writers, musicians and especially in the case of bassist Kasmir Sulton, good vocalist. First, the album begins with the very strong track “Road to Utopia” where the space age intro grabs your attention straight away. Straight away, the talents of all four members are highlighted and it in no way downgrades over the rest of the album. I also love the element of humour in songs like “You Make Me Crazy” and Sulton’s vocals show their full potential on the track, “Set Me Free.” After the lengthy but not boring “Caravan” is a total bang your head rock out, “Last of the New Wave Riders.” Then there’s the “The Very Last Time,” which has some personal meaning for me and the slow love song “Love and Love Alone” that again showcases Kasmir’s vocals. 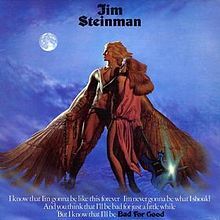 Finally, the song goes out not just on a high, I’m talking cloud ten with “Rock Love.” A great closer to an album and an excellent song in it’s own right. Anyone who agrees with the critic who said that Utopia diminish the talents of Todd Rundgren, should definitely go and listen to this album. 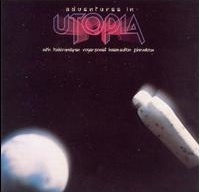 In no way does “Adventures in Utopia” do that, in fact, it serves to showcase the talents of the other members. This is in my opinion, their best album.